The BCA6 is quite powerful, despite it's relatively small size. Working with this strong block shouldn't prove too difficult for the seasoned neodymium veteran. But those with a bit less experience will need to use caution, so as not to get pinched. The BCA6 is amazingly strong for it's size! 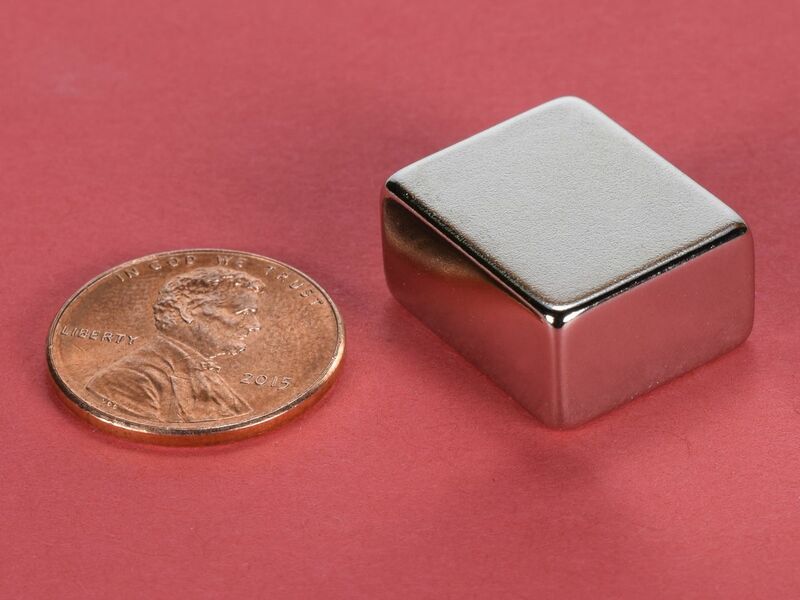 Many folks are looking for magnets exactly this size magnet per specifications like, "3/4" long, 5/8" wide, 3/8" thick, Alnico 4, M-60, 12Al, 28Ni, 5Co, BaFe Isotropic Permanent Magnets." 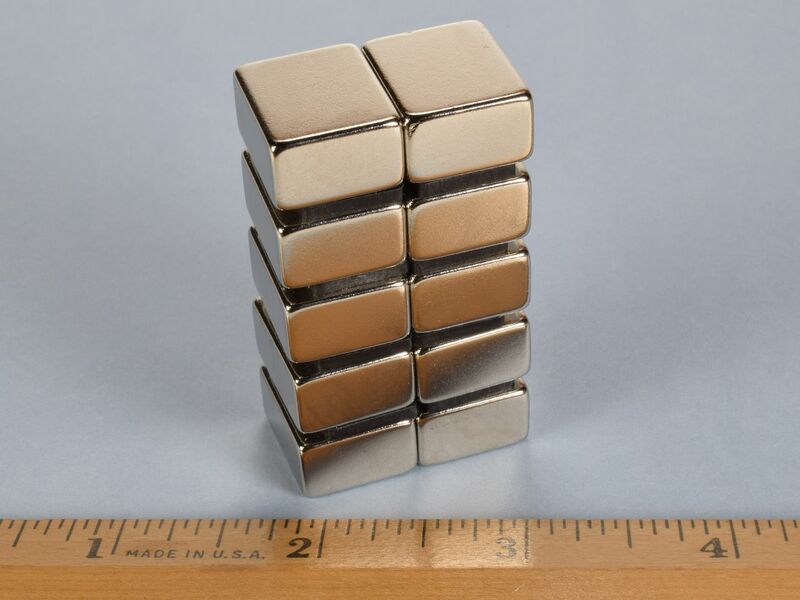 While our BCA6 magnets are the same size, it is not an Alnico magnet. Expect much more strength than a comparably sized Alnico magnet -- roughly 10 times more!